You’ll Never Know Unless You TRI – By Emily H.
When Zach and I first started dating in 2009, he was vigorously training for and competing in triathlons. I was extremely impressed when I went to cheer him on at a sprint-distance triathlon, which consisted of a 750 meter open-water swim, a 12 mile bike, and a 3.1 mile run. My aunt and uncle were always very into the sport, so I knew about it and thought it was impressive, but I also found it extremely intimidating. In 2009, I knew I could handle the biking, but was intimidated by both the run and the swim. Then, in March of 2013, I started running with the Colorado Chapter of Achilles International. You can read more about my journey towards becoming a “runner” here. Through this group, I gained confidence in my running ability & even completed a half marathon in early 2014. Thus, my fear of the run was eliminated… but there was still that pesky & somewhat terrifying swim to contend with. However, in March of 2014, I attended a swimming clinic in Boulder that was hosted by the Challenged Athletes Foundation. To be completely honest, I didn’t even really want to participate, but I had designated it as our March event for LIM359 & had to set an example for the rest of our members. After all, part of the greatness of our group is that we push people a little outside their comfort zones, so I couldn’t let my own fears stop me! Each person was slotted 1 hour in the pool, but wouldn’t you know I ended up spending 2 hours in there learning the freestyle, the back stroke, the breaststroke, and even the butterfly! I wasn’t starting from ground zero considering I had swimming lessons while I was growing up, but I hadn’t really been swimming since I was a teenager. As soon as I got out of that pool, my mind was set – I would do a triathlon!! 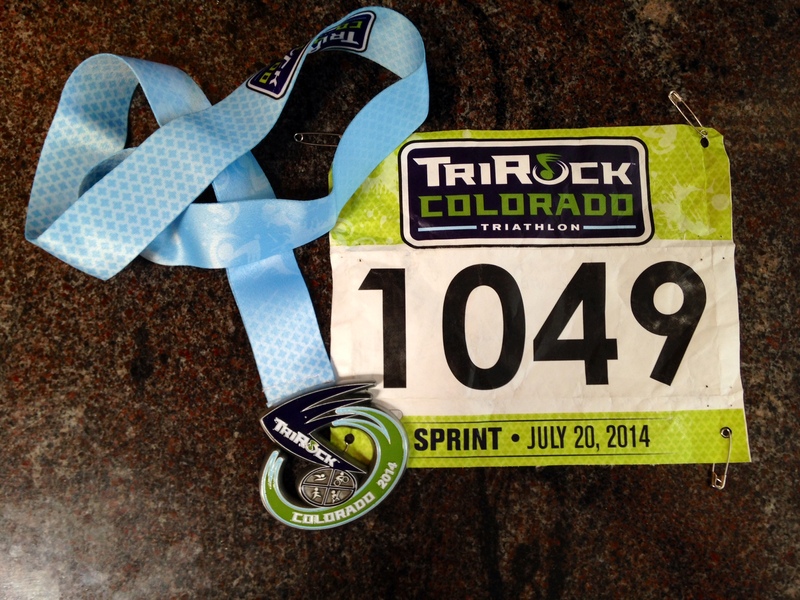 I completed the TriRock Colorado on July 20, 2014 in 1 hour 51 minutes and 9 seconds, well under my goal of 2 hours. I swam in 74 degree water in the Aurora Reservoir, tackled a very hilly bike ride on a heavy hybrid bike that is definitely not designed for racing, and ran under the hot sun of Colorado. 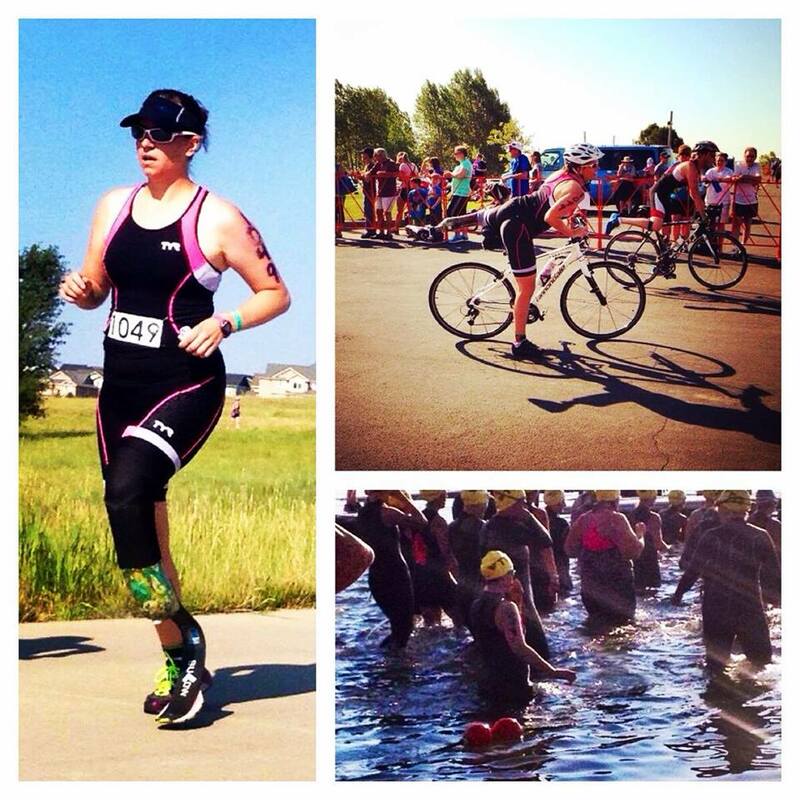 Triathlon is a sport that forces me to accept that I do, in fact, have a disability that requires some accommodations. For example, I swim without my leg so I need my leg, towels, and a chair waiting for me when I got out of the water so I can get up to the transition area. I also need a chair in the transition area so I can sit down to switch from running leg to biking leg and then back to my running leg. 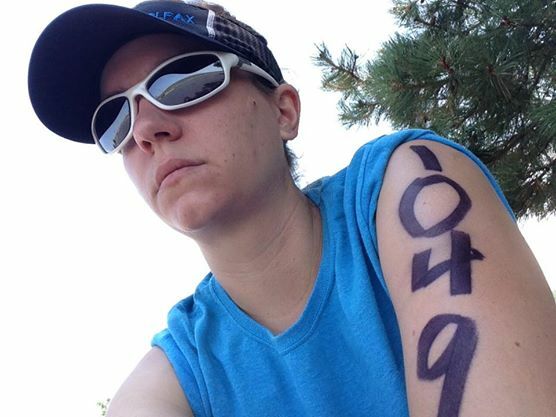 Triathlon forces me to fully accept that having a limb amputated does mean life is harder sometimes, but it also helps me accept my true self and makes me realize how amazing our bodies are at adapting. I can now call myself a triathlete. It’s something I’m very proud of & it never would have been possible if I let my fear keep me from trying. 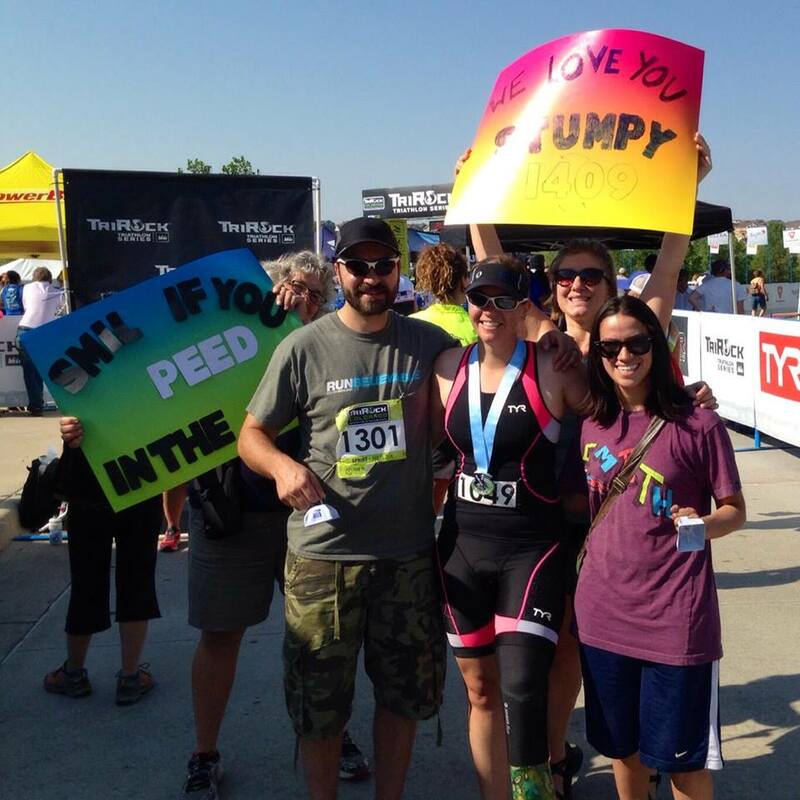 It just goes to show that you’ll never know what you’re capable of unless you TRI!